As we say hello to 2015 we begin to reflect on our goals, what we have done to achieve them and what we plan to do to continue accomplishing them. 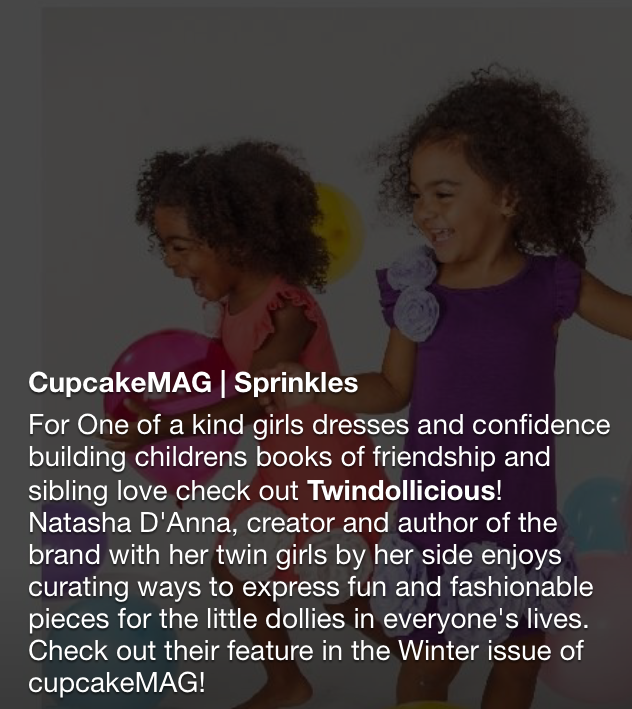 When this editorial about TwinDollicious and our personal story was featured in CupCake Magazine I couldn’t appreciate it more. It clearly stamps our journey and fuels fire to cross off those future goals as we continue to achieve them. As the girls are now 4 years old and realize what we have been doing all this time. I now hear them say “we are TwinDollicious sisters” ~ and my heart melts, on how much they love each other so.